If I don't count a trip to Lowes on Thursday night (which I won't since it was really for my brothers benefit rather than our own house needs), we have had our first house errand free weekend in at least a year. Maybe two? We got to enjoy a beautiful wedding in Newport this weekend. The weather was just amazing and it was a lovely two day in New England. During our jaunt to Lowes, I picked up some paint for the guest bedroom desk. I figured I would give good ol' Martha paint a try. I picked a shade called "Bedford Gray" which I think will work nicely with the green, black and gray color scheme. At least I hope it will. I wish I could say we are all rested and raring to go back to work but sadly, our cat is missing! The in-laws let him out last night (he usually does a lap around the back yard and returns shortly afterward) but he never came back. We came home this afternoon to a silent house because there was no demanding cat meowing he wanted some attention. He has never been gone this long so we are sick with worry. I'm really hoping he is okay but I can't help but think the worst. So as you might imagine, today hasn't been that relaxing. Off to go calling him again. Keep your fingers crossed please. hi! i found your blog a while ago and ive gone through your renovation, which looks amazing. i love your sense of style. who had your posts... but i found it suspicious since i didn't think that you'd have two separate blogs. i'm sure it's probably you, and im just being paranoid, but i thought you should check it out. Catherine - Thanks that is me. If you look to my earlier posts, they are all the same. I put only Reno specific posts on Brownstoner but I wanted to keep my own blog to put deco related things as well and carry on. Im done with Brownstoner but Im still posting here. I'm so sorry, MrsL! I hope she/he comes back soon! good luck with the paint! i hope your cat comes home. i'd be so distraught. I hope your cat comes back soon. Don't worry...I know it's hard not to. Our cat did that once too & she disappeared for DAYS! We had no idea where she went & we were sure she was a goner she came home like nothing had happened. Cats are a bit strange like that. Don't worry. He's prob just checking stuff out. I hope you find your kitty soon. The weather was amazing here too, finally. This reminds me of the part in Breakfast @ Tiffany's where they can't find the cat in the alley after she dropped it off...that part made me so scared/sad for a little bit, the first time I watched it...and that Martha really knows how to pick her colors.  Oh, here, kitty, kitty, please come back to your brooklyn limestone. Put a small bowl of food by your front door and a can of that gorgeous paint. I'd come running with my tail a waggin! Its been 36 hours and kitty is still not home. I almost called in sick to work today but what would be the point? Sitting home and being sad isn't going to get him to find his way home. I'm just hoping he picks up the scent and finds his way back today. Come home soon, Big Cat!